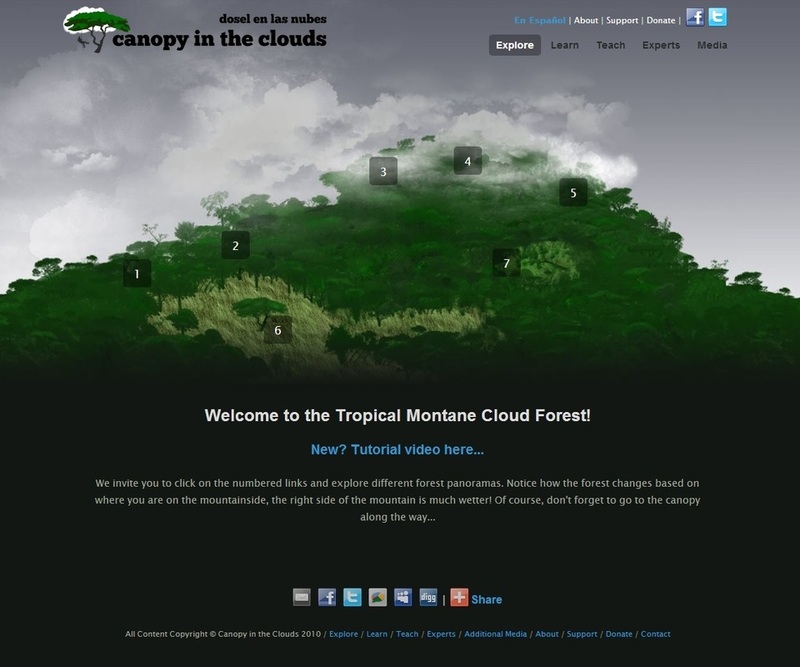 The homepage for Canopy in the Clouds, leading to navigable 360° panoramas (on the ground and in the canopy) that all have embedded photos, videos and text about the natural history of the cloud forest. What: Canopy in the Clouds is a web-based learning environment that uses immersive natural history media to teach K-12 earth and life sciences. Plant-O-Matic is an iOS mobile application that provides an on-demand guide to all of the plant species in the user's location, anywhere in the Americas. When: Canopy in the Clouds launched in 2011 in English and Spanish. Since then, we have received tens of thousands of visitors annually from nearly every country on the planet. Plant-O-Matic launched in late 2014 and has been downloaded nearly 10,000 times. Where: The media for Canopy in the Clouds is from the beautiful tropical montane cloud forests of Monteverde, Costa Rica, with a particular focus on the cloud forest canopy. Plant-O-Matic contains information on 88,000 plant species from all over the Americas! Why: We believe we have a responsibility to make science available to broader audiences - it's as simple as that.